Our Chief Information Security Officer, Allen Jenkins, has issued a security advisory for January 4, 2019. Adobe has released security updates to address vulnerabilities in Adobe Acrobat and Reader. SyCom security analysts are committed to staying on top of the latest security news so they can help our customers identify vulnerabilities, address risks and compliance, and respond to threats. 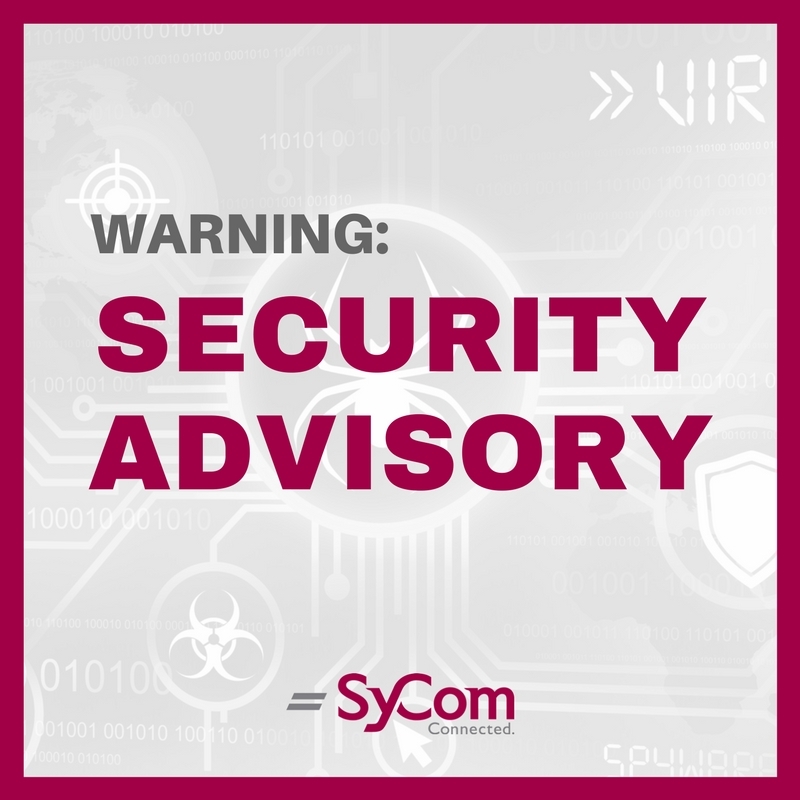 This advisory provides our customers with actionable intelligence, enabling them to act quickly and effectively on their own or with assistance from SyCom. If you are interested in more insight from SyCom’s CISO, Allen Jenkins will be leading a SANS Institute class beginning in late January 2019. For more information on ‘Security 401: SANS Security Essentials’ or to register, visit our website.